Neblett, Beard & Arsenault attorney Dustin Carter has been named one of the Top 40 Under 40 Plaintiff Trial Lawyers in Louisiana by the National Trial Lawyers. 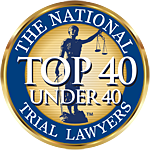 The National Trial Lawyers: Top 40 under 40 is a professional organization composed of the top trial lawyers from each state under the age of 40. Membership is extended exclusively to those trial lawyers practicing civil plaintiff and/or criminal defense law who demonstrate superior qualifications of leadership as a young lawyer under the age of 40. Each Top 40 Under 40 member strives to encompass the skill, knowledge, and experience held by the best lawyers in America. To learn more about this prestigious award, please click here. 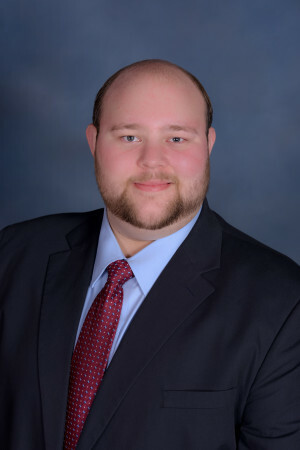 Attorney Dustin Carter is a member of Neblett, Beard & Arsenault's Mass Tort and Complex Litigation Group.